OLYMPIA, Wash. – The Oly Town Artesians host Fan Appreciation Night this Saturday when they take on the Vancouver Victory in their last regular season home game of the 2018 Evergreen Premier League season. The Artesians will celebrate with magnets for the first 50 fans, stickers for every attendee, and games and prizes throughout the contest. First kick at Black Hills High school in this important EPLWA Coastal Division showdown is set for 6:00 PM. The Artesians will then travel to Gig Harbor to take on the Olympic Force on Sunday night. First kick at Roy Anderson Field at Peninsula High School is at 5:30 PM. Oly Town enters the weekend unbeaten at home and 3-1-2 overall with 11 points. They sit in second place in the Coastal Division, seven points behind the first place Seattle Stars but with two more games left to play than the Stars, and two points ahead of Vancouver. They are also one point behind the Victory for the wild card spot. The division is determined by all 10 games while the wild card is determined by each team’s six non-division games, so Saturday has major division ramifications but no wild card ramifications, while Sunday’s game is important for both. Oly is led by Daniel Gonzalez and Christian Segovia’s three goals while Gonzalez and Nate Boatright each have two assists. Five Artesians have been honored with Player of the Week awards this season. 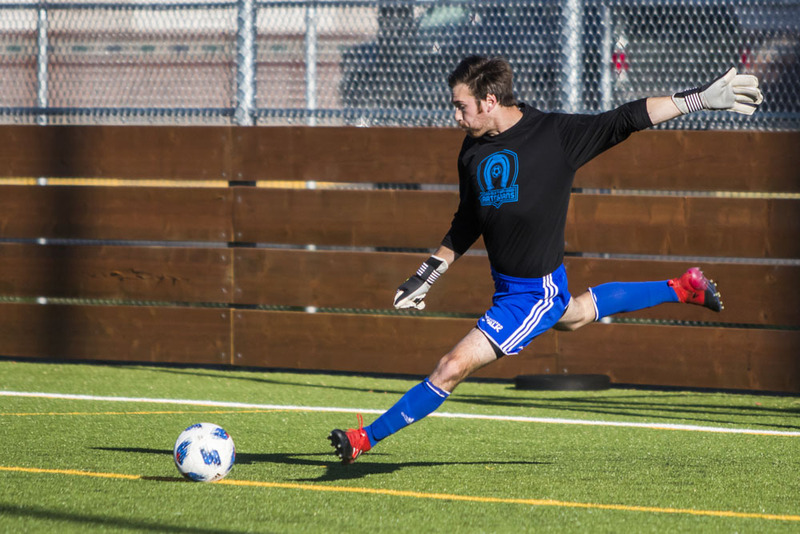 Goalkeeper JJ Olson, and defenders Marcos Borja and Crisantos Chavez each earned Defensive POTW awards for an Oly team that has allowed the least goals in the league. Gonzalez and JT Meyer each won the Offensive award after two goal games. Saturday will be the first meeting between the Artesians and Vancouver. The two teams were set to meet on June 17th but a freak thunderstorm caused them to move their game in Vancouver to July 15th. The Victory are 3-3-0 overall and Brandon Zambrano leads them with three goals. Olympic has struggled to a 1-6-1 record this season. They are led by Joe Sammartino’s three goals while former Artesian Mitchell Balmer has a pair of goals for the Bremerton based club. Sunday’s game is the second of an Olympic doubleheader. The Force’s women’s team faces Yakima United at 3:00. Tickets for Saturday’s game are just $8 for adults and $5 for kids 5-12, seniors and military members. Kids under 5 are free.